T75 is a vehicle tracking and management solution delivering fleet information in real time across geographies. Based on GSM & GPS technology, T75 offers precise location information status of position, time and speed of the vehicle at predefined intervals on demand. 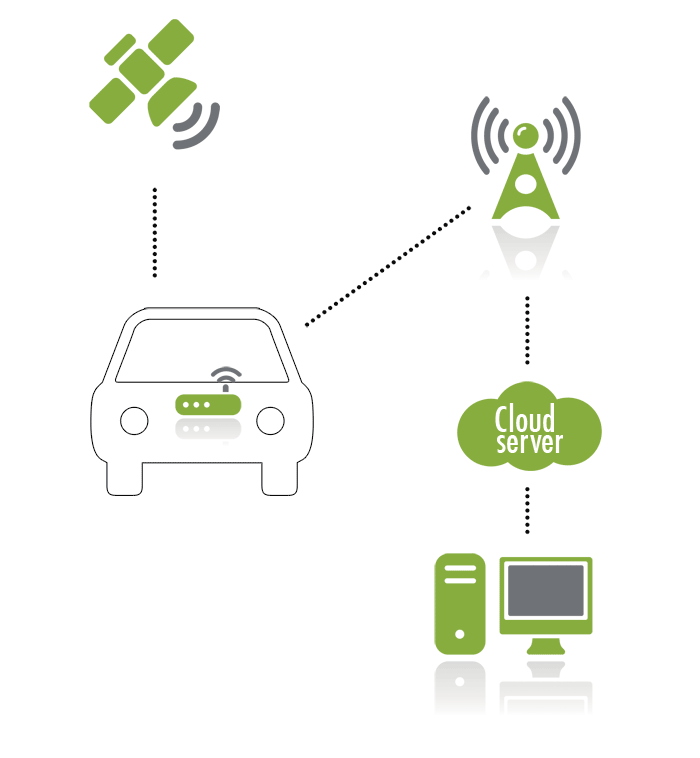 The device from the GPS Satellites receives Location information of the vehicle. The device sends the location information through SMS to the T75 application. The T75 software plots vehicle’s location on map. The fleet manager views the vehicle on map & gets vehicle status. T75 provides a host of management reports enhancing the decision-making capability. Standard reports range from vehicle utilization, driving patterns to compliance with safety norms based on customer’s requirements. T75 real-time vehicle tracking device enhances the efficiency of the transportation business. The T75 transceiver includes advanced user-controllable online tracking and messaging capabilities into a compact, rugged and weatherproof chassis. With this powerful transceiver, managers have access to up-to-the-minute vehicle information and reports at all times. T75 has digitized all India Road network map covering all major Highways around the country. Based on requirement, T75 also offers detailed city maps. T75 maps can be zoomed in/out and pan. 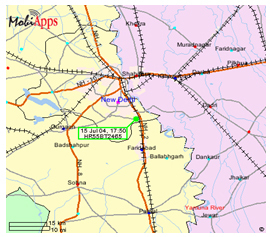 T75 application provides provision of adding map points on maps. For specific custom applications, the customer may have to procure the required city’s map The same will be hosted at our hosting centre. T75 Web Application is an easy and fast way to locate vehicles and monitor their usage. T75 Web Application works with in-vehicle T75 transceiver devices. This solution provides up-to-the-minute data for tracking vehicles and managing assets. Real Time Tracking: Provides Real-time information on vehicle status based on location, speed and time. Online Alerts: Provides critical alerts such as over speeding, acceleration/ deceleration, unauthorized stoppages and emergency SOS alerts through SMS. Trip Replay: Provides replay of the routes traveled by vehicles plotted on the map. Reports: View trip reports by date, vehicle ID or driver name. Generate standard reports on criteria such as vehicle stoppage, vehicle speeding, or trip summary. Communications: Maintain control of all drivers with two-way voice communication. Vehicle & Group Management: Update driver and vehicle profiles, as well as manage vehicle groups and vehicle types. Contact us at the Redox office nearest to you or submit a business inquiry online.